The first major strike occurred in 1830 at Blue Creek and Chestnut Creek, and significant gold discoveries continued throughout the coming years. 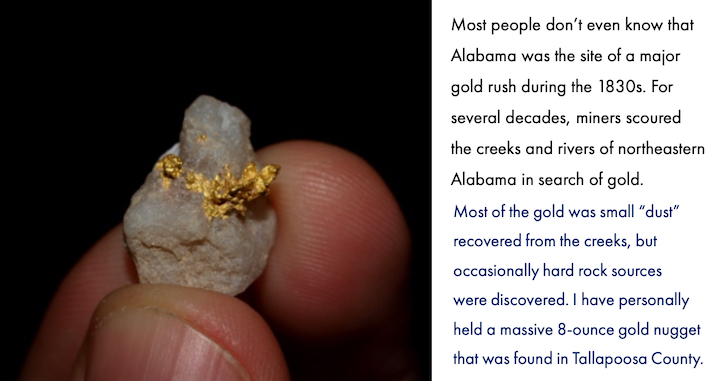 Gold has been found throughout Talladega, Tallapoosa, Chambers, Coosa, Clay, Chilton, Elmore, Cleburne, and Randolph Counties. In Talladega County, the Riddle Mine and Story Mine both produced lode gold, with placers found in Talladega Creek. Tallapoosa County contains numerous gold districts including the Hog Mountain district, one of the biggest gold producers in the state. Much of the gold here was recovered through the cyanide leaching process, but creeks nearby produce placer gold. The Talladega National Forest has many creeks that contain placer gold as well. Coosa County has plenty of good areas to placer mine with a significant history of mining in the early gold rush days. The Gold Ridge Mine produced gold as a byproduct of copper mining, and placer workings occurred along Hatchett Creek, Weogufka Creek, and the Rockford placers. In Clay County, placer gold can be found at Crooked Creek, Tallapoosa River, Wesobulga Creek, and many other streams throughout the county. Chilton County has gold in Coosa River, Blue Creek, Mulberry Creek and its tributaries, and Rocky Creek. 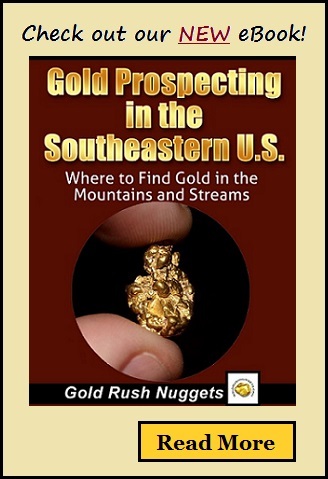 Numerous unnamed drainages will also produce placer gold for a hard working prospector. Some of the most valuable placers in Alabama are found in Cleburne County. Waters in the Chulafinnee Mining District will all produce gold. Lode Mines are scattered throughout the county, with both copper and gold being the predominant metals. Rich gravels can be found throughout these areas. 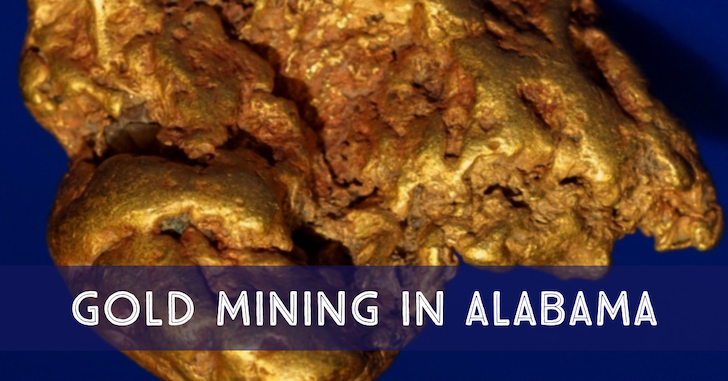 Alabama has produced fine gold as well as sizable gold nuggets. 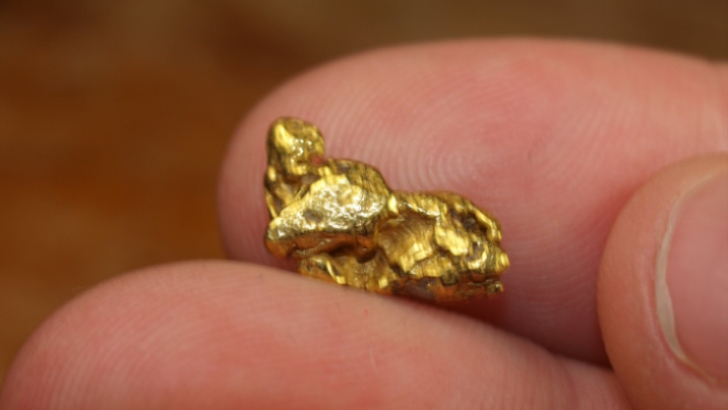 Gold is also found in ore, although often it is low grade and must be extracted by cyanide leaching. Some prospecting opportunities exist on public land in the Talladega National Forest, but much of the richest gold ground will be found on private land. Seek permission from landowners before doing any prospecting in private property.